Build your very own Big Ben! 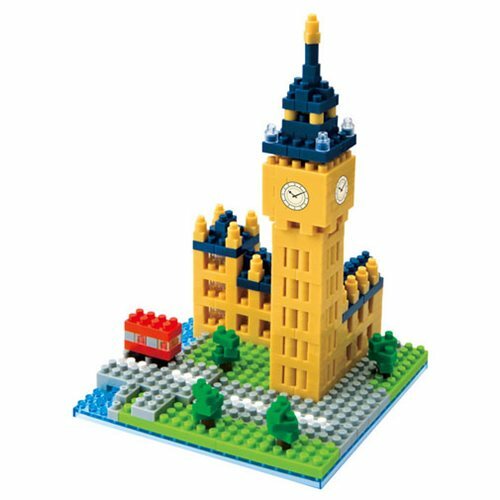 With these micro-sized building blocks, the famous clock tower at the north end of the Palace of Westminster in London will take shape right beneath your fingertips. You'll be amazed as Big Ben is assembled to the tiniest detail. With over 460 assorted pieces, the Big Ben Nanoblock Constructible Figure measures 4 7/8-inches tall x 3 5/8-inches long x 3 1/8-inches wide and fits in the palm of your hand! Detailed color instructions included. Age 8 and up.